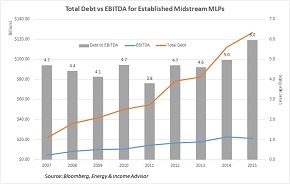 Master limited partnerships (MLP) issued significant amounts of debt and equity to build the midstream infrastructure needed to support the shale oil and gas revolution. Our graph tracks the total short- and long-term debt on the balance sheets of 13 established midstream partnerships, all of which have existed for at least nine years and don’t rely on drop-down transactions to drive cash flow growth. 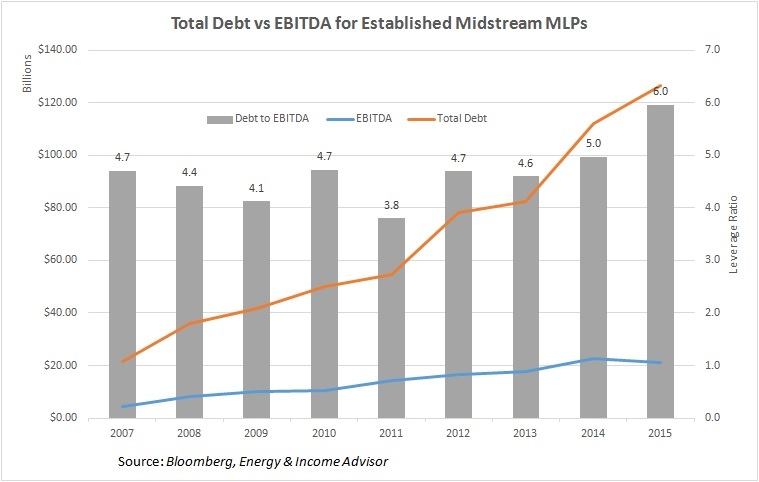 These MLPs’ aggregate debt levels increased steadily from 2007 to 2010 and spiked thereafter to support opportunistic acquisitions and growth projects to handle the surge in US oil and gas production that took place as producers ramped up development activity in prolific shale plays. But with US onshore oil production finally rolling over after exploration and production companies slashed drilling activity, some names find their cash flow under pressure from declining volumes and face challenges funding planned growth projects. Borrowing to fund acquisitions and projects, coupled with subdued growth or outright declines in operating cash flow, has increased the group’s total debt to almost 6 times operating cash flow. 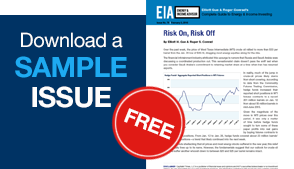 The midstream construction boom has started to wind down, ushering in a period of consolidation when management teams focus on strengthening their balance sheets. 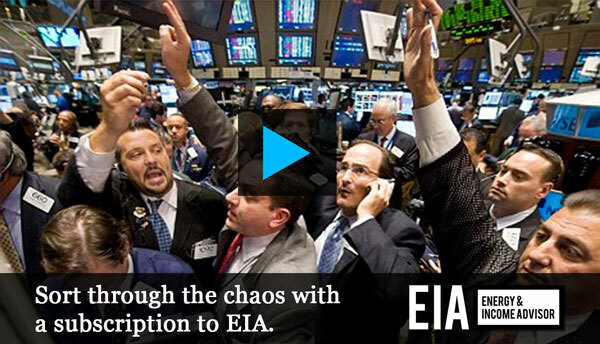 This process could involve divesting noncore assets to rivals that can extract additional value by incorporating them into their systems or selling equity interests in existing infrastructure to refiners and utilities. 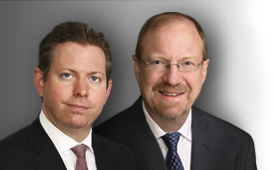 Crestwood Equity Partners LP (NYSE: CEQP), for example, followed the latter playbook by establishing a joint venture with Consolidated Edison (NYSE: ED). Kinder Morgan (NYSE: KMI) also went down this path with the sale of a 50 percent equity interest in its Southern Natural Gas pipeline network for Southern Company (NYSE: SO)–a deal we discussed at length in our most recent Midstream and MLP Update. However, some names may need to cut their distributions and retain more cash flow to pay down debt and fund planned growth projects.